There are many kinds of defoaming agents, which can be applied in various fields. 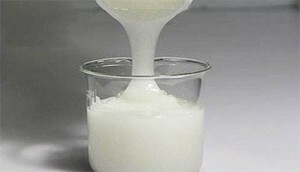 So how to determine whether defoaming agents are suitable for your field and accurately judge their properties?In fact, it is very simple, as long as you find suitable defoaming agent detection method, you can accurately find a suitable antifoaming agent, today SIXIN Scientific Technological small make up for you to talk about the test method of defoaming agent. There are dynamic and static defoaming test methods for defoaming agents. If your foaming environment system is different, then the suggested test methods are also different. The main test methods are divided into the following three types. The shaking bottle test mainly tests the defoaming time of the defoaming agent and inhibition of bubble performance, it is the most commonly used is the fastest test method, but test results may not be accurate, because of the shaking bottle test cannot completely simulate the situation of the production site, such as temperature, foam system, etc., but simplicity method is the most commonly used test method, belongs to static defoaming test method, test is mainly used for sewage treatment industry. The gas drum test method is a dynamic defoaming test method, and mainly used for cycle bubbling, repeated bubbling system to test, but this method is not suitable for coatings, because of high speed stirring will influence the test result, this test method is mainly used in the fermentation, explosive gas pools, and other industries, mainly to observe the height of the bubble to compare the performance of the defoamer. High speed dispersion method is also a kind of dynamic defoaming test method. The comparison data of high speed dispersion is not to see the high speed or time of foam, but mainly to observe the density.Low density indicates good performance.This test method is mainly used in the coating and adhesive industry. Of course, there are many testing methods of defoaming agent, such as cyclic bubble method, etc., which are commonly used in daily life. I hope that the above explanation can help you choose the right defoaming agent.